Today we are going far back in dog movie history to talk about Asta the Wirehair Fox Terrier from The Thin Man movies of the 1930's. Asta was portrayed by Skippy the dog (also known as Asta) for the first two movies, The Thin Man (1934) and After The Thin Man (1936). There were several later Thin Man movies that starred other dogs (who were still billed as Asta). These movies were: Another Thin Man, Shadow of the Thin Man, The Thin Man Goes Home, Song of the Thin Man, and the 1950's TV series The Thin Man. 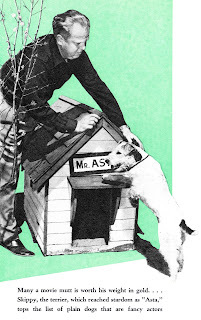 The popularity of Asta made Wirehair Fox Terriers a popular dog breed in the 1930's! Skippy, who portrayed Asta, was born in 1931 or 1932 and worked in movies until 1941. Skippy was owned and trained by Henry and Gale Henry East. He had a reputation as being one of the smartest and most responsive dog actors in classic Hollywood. Skippy later appeared in The Awful Truth, Bringing Up Baby, and Topper Takes a Trip. 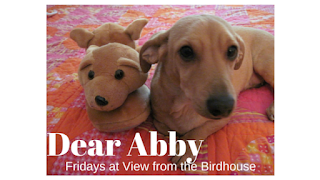 Here is a very short (and very cute!) 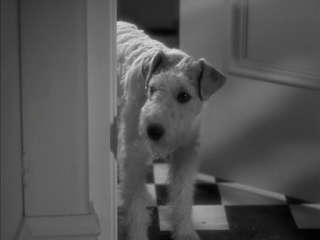 video of Asta in After the Thin Man. 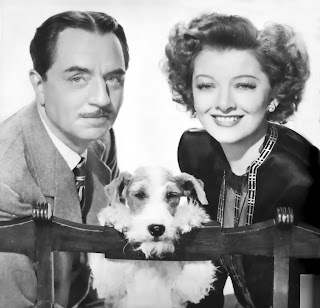 Have you seen any of The Thin Man movies? I would love to hear from you in the comments! I have not seen any of these movies but they look interesting. I think the dog is super cute and must be quite smart as well. I don't think I've ever seen a wire-haired fox terrier in person, but they sure are cute. I'll have to look for a copy of The Thin Man to read. I haven't! They sound good tho. NEver seen it OR heard of it! Sounds great!! I haven't seen many of these movies myself. I am going to have to check some of them out. Thanks, friends! I really enjoyed hearing from you. Oooo now this is one movie I have never seen!! Sounds like a goodie though, so I will definitely have to watch!